A New Jersey State trooper had a serendipitous reunion with the retired police officer who delivered him as a baby 27 years ago — by pulling him over. Trooper Michael Patterson had stopped the motorist, Matthew Bailly, for a minor motor vehicle violation on Friday, when Bailly told him that he was a retired officer from the Piscataway Police Department, according to a statement by New Jersey State Police. Patterson then told Bailly that he was from the same town, prompting Bailly to ask him where he used to live. When Patterson said that he grew up on Poe Place, Bailly told him that he remembered the street well because he helped deliver a baby there 27 years ago when he was a “rookie cop,” according to police. Bailly then described the color and style of the house and told Patterson that the baby’s name was Michael. 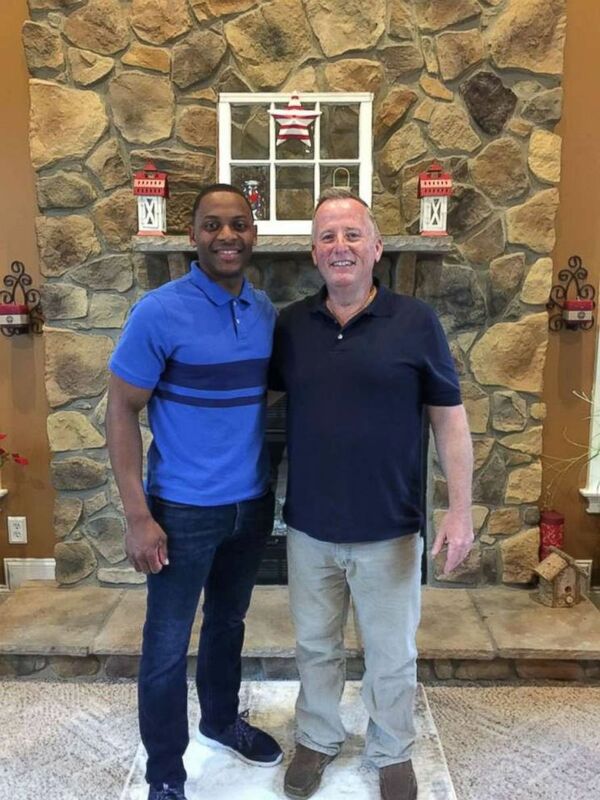 New Jersey State Trooper Michael Patterson pulled over retired Piscataway police officer Matthew Bailly, who delivered Patterson as a baby 27 years ago. On Oct. 5, 1991, Bailly had been on the job for four years when he responded to a home on Poe Place, state police said. Patterson’s mother, Karen Patterson, had been out shopping when she went into labor. When she returned home, Patterson’s father, Bobby Patterson, rushed outside, picked her up and carried her inside the home. Bobby Patterson then called a doctor, who talked Bailly through the birth, police said. Both the Patterson family and the Bailly family were “ecstatic” about the fateful reunion, and Patterson and his mother visited Bailly at his home, police said.